316 in stock Need More ? 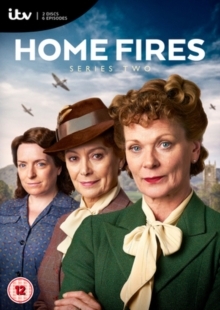 All six episodes from the second series of the ITV drama about a group of Women's Institute members living in a rural Cheshire village during the Second World War. Beginning in 1940, this series follows the residents of Great Paxford as they deal with the imminent threat of invasion. When the Battle of Britain intensifies, the women find they must heighten their efforts to boost morale and keep spirits high while dealing with the various problems of their personal lives. Meanwhile, Laura (Leila Mimmack) is publicly shamed after news of her affair with a married man, and his subsequent divorce, hits the headlines and Joyce (Francesca Annis)'s patriotic reputation is jeopardised when a shocking revelation comes to light.